80 3/4 by 126 3/4 by 1 1/2 in. 205.1 by 321.9 by 3.8 cm. 95 1/2 by 127 by 1 1/2 in. 242.6 by 322.6 by 3.8 cm. 100 by 105 in. 254 by 266.7 cm. 22 1/8 by 18 5/8 by 2 in. 56.2 by 47.3 by 5.1 cm. 41 1/8 by 34 1/8 by 2 in. 104.5 by 86.7 by 5.1 cm. 41 5/8 by 59 3/8 by 2 in. 105.7 by 150.8 by 5.1 cm. 66 1/2 by 88 7/8 by 2 in. 168.9 by 225.7 by 5.1 cm. 46 1/2 by 59 1/2 by 2 in. 118.1 by 151.1 by 5.1 cm. 41 by 34 by 2 in. 104.14 by 86.36 by 5.08 cm. 45 by 69.25 in. 114.3 by 175.9 cm. 83 ½ by 61 by 2 in. 212.9 by 154.94 by 5 cm. 30 by 48 by 78 in. 76.2 by 121.92 by 198.12 cm. 49 by 73 1/2 by 2 in. 124.5 by 186.7 by 5.1 cm. Each 38 by 48 by 5 in. 96.5 by 121.9 by 12.7 cm. Each: 38 by 48 by 5 in. 96.5 by 121.9 by 12.7 cm. 100 by 105 by 1.25 in. 254 by 266.7 by 3.175 cm. 30 collages, 23 by 18.9 in. 58.42 by 48 cm. 30 panels total, each: 36 by 48 by 2 in. 91.44 by 121.92 by 5.08 cm. 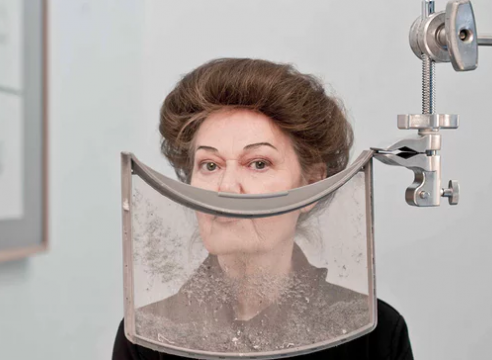 Mary Kelly’s practice spans more than four decades and encompasses ideas about the body, systems of classification and power, memory, and history. 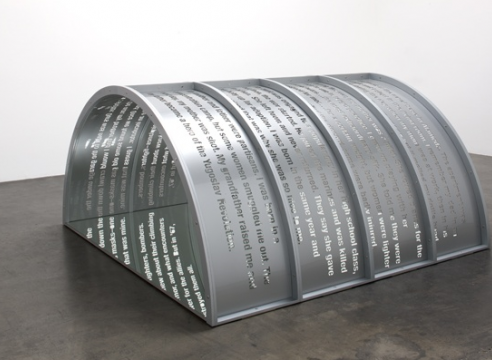 Based in Los Angeles, she is best recognized for her large-scale narrative installations, including Post-Partum Document, 1973 – 79. 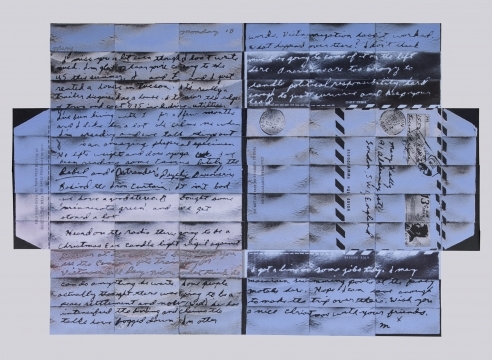 Kelly’s projects frequently blend personal and political issues of gender, identity, and collective memory, so as to visualize the impact of historical events on the nature of everyday life. 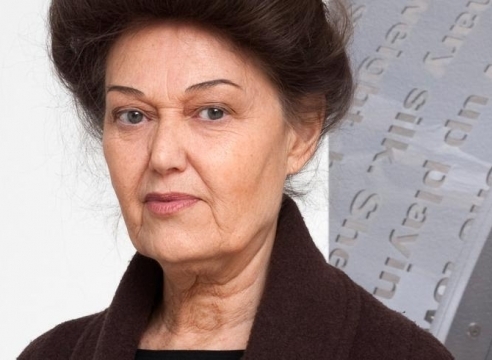 Kelly’s work has been central to discussions of Conceptual art and feminism since the 1970s, and her writings have been requisite to the discourse of postmodernism. 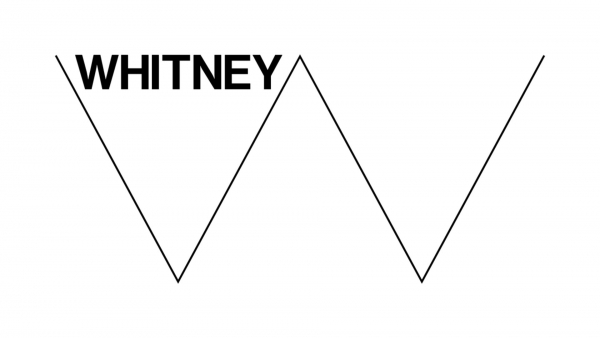 Her current project, Circa Trilogy, which continues the exploration of generational and historical themes, has been undertaken with the support of 2015 John Simon Guggenheim Memorial Fellowship. Kelly was born in Iowa in 1941 and lives and works in Los Angeles. She graduated with a BA in Art and Music from College of Saint Teresa, an MA in Studio Art and Art History from Pius XII Institute in Florence Italy, a Postgraduate Certificate in Painting from St. Martin’s School of Art in London, and an Honorary Doctor of the Arts from University of Wolverhampton, England. 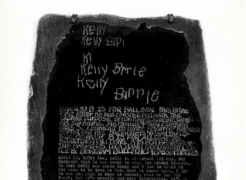 Kelly’s work has been shown internationally as the subject of solo shows at The Tate Britain in London (2013); The Center for Contemporary Art in Warsaw (2008); The Institute of Contemporary Art in London (1993); and The New Museum for Contemporary Art in New York (1990). 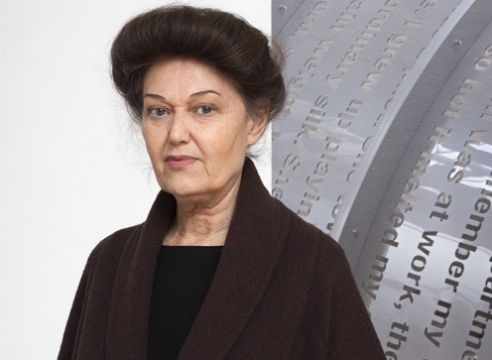 She has participated in a number of group exhibitions and biennials, including Women and Work at the Tate Modern in London (2016); Le Grande Madre at Palazzo Reale in Milan (2015); Take It or Leave It: Institution, Image, Ideology at the Hammer Museum in Los Angeles (2014); Ends of the Earth at MOCA Los Angeles (2012); This Will Have Been: Art, Love and Politics in the 1980s at MCA Chicago, ICA Boston, and the Walker Art Center in Minneapolis (2012); The Deconstructive Impulse at Nasher Museum, Dallas, CAM Houston, and Neuberger Museum of Art in Purchase, NY (2011); Wack! 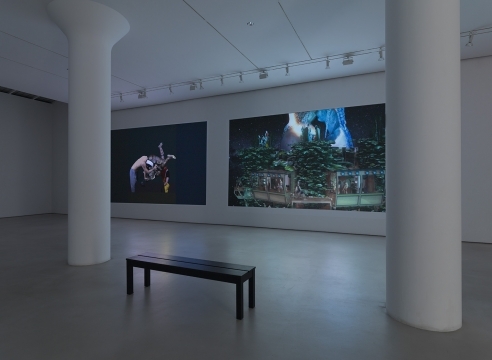 Art and Feminist Revolution at MOCA Los Angeles and PS1 in New York (2007); Sydney Biennale (2008), Documenta 12 (2007), and The Whiney Biennial in New York (2004). All images © Mary Kelly. 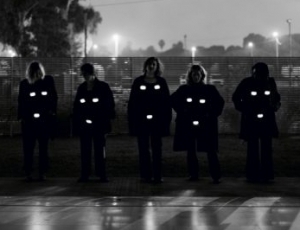 Mary Kelly’s site-specific project, curated by Matthew Schum for the Desert X Biennial, returns to the Cold War intervention of Women Strike for Peace, a group formed in 1961 to protest against nuclear weapons testing in the Mojave Desert. 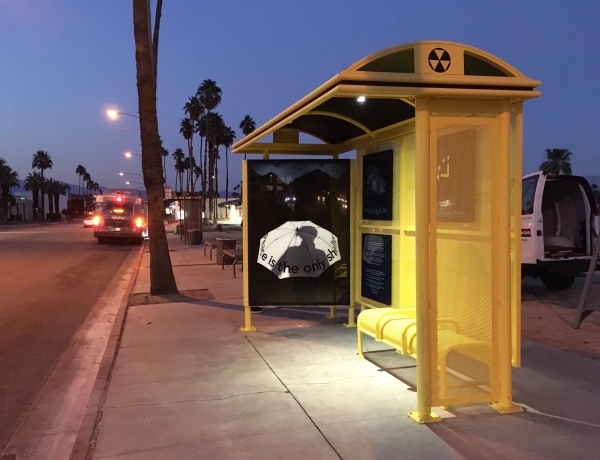 In conjunction with the Palm Springs Art Museum, Desert X presents Desert, Why?, a weekend of programming that highlights both Desert X 2019 and Unsettled at the Palm Springs Art Museum. 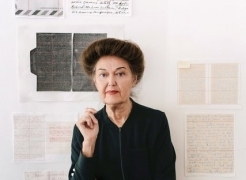 Mitchell-Innes & Nash congratulates Mary Kelly on the acquisition of her archive by the Getty Research Institute in Los Angeles. 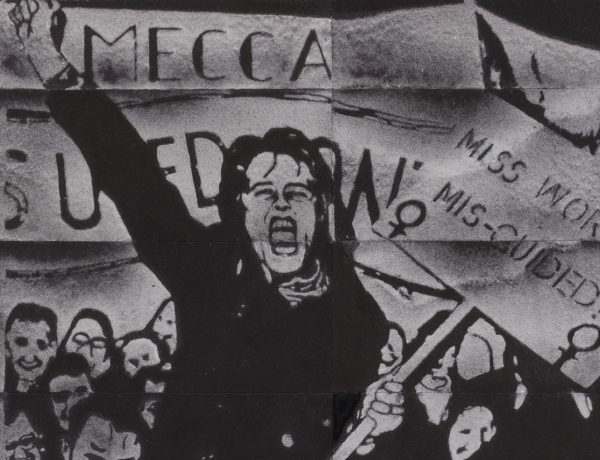 The archive not only includes research, documentation and ephemera related to works created between 1968 and 2014 but also Kelly’s collections of Marxist, feminist, and political journals, pamphlets and flyers collected during her time in London and Beirut. 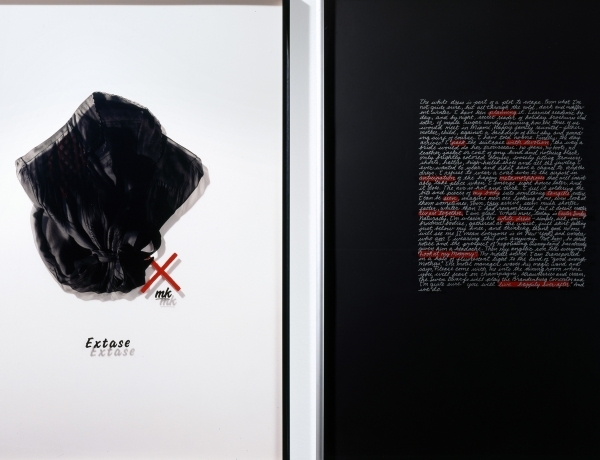 Notable projects include Post-Partum Document (1973-79), Interim (1984-89) and Gloria Patri (1992). All documentation will be catalogued and made available to the public by the Institute. General Idea, Mary Kelly and Martha Rosler are included in the Whitney Museum's An Incomplete History of Protest: Selections from the Whitney’s Collection, 1940–2017​. The conceptual art movement of the 1960s and 1970s continues to exert a strong influence on contemporary art the world over. Art historians Terry Smith and Robert Bailey and artist Mary Kelly, themselves either participants in the movement or scholars now revisiting it, discuss conceptual art’s turn to language within a visual arts context, how conceptual art’s embrace of written and spoken discourse gave art new intellectual powers, and the political, psychological, and philosophical consequences that issue from these transformations. 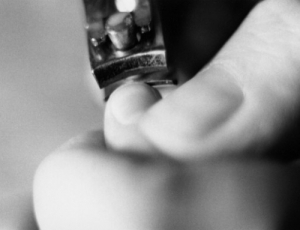 Mary Kelly is included in the Katonah Museum of Art's exhibition, Picturing Love: Photgraphy's Pursuit of Intimacy. 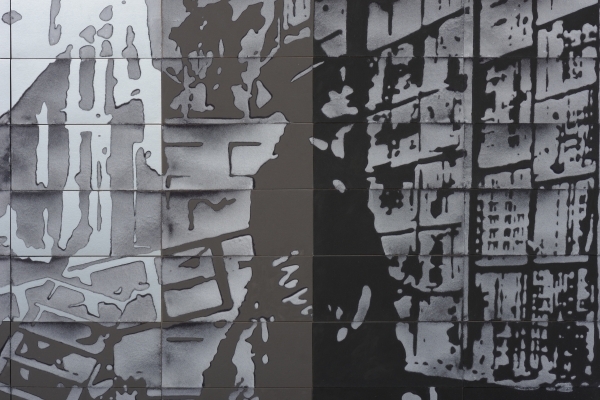 Of Other Spaces: When Does Gesture Become Event? 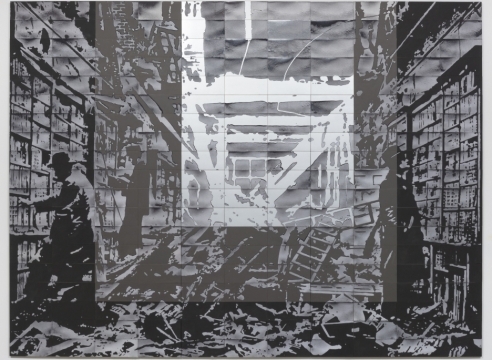 Mary Kelly is included in the exhibition, Of Other Spaces: When Does Gesture Become Event? at the Cooper Gallery, University of Dundee. 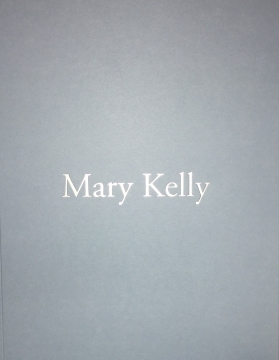 To mark the publication of October Files: Mary Kelly, a new anthology of essays and interviews that span the artist’s career, Kelly discusses her work with the critic and theorist Rosalyn Deutsche. 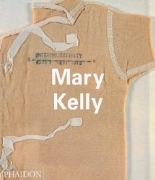 MIT Press' recent publication of October Files explores Mary Kelly's prolific artistic career, addressing such themes as labor, war, trauma, and the politics of care, while emphasizing the artist’s sustained engagement with histories of feminism and generations of feminists. 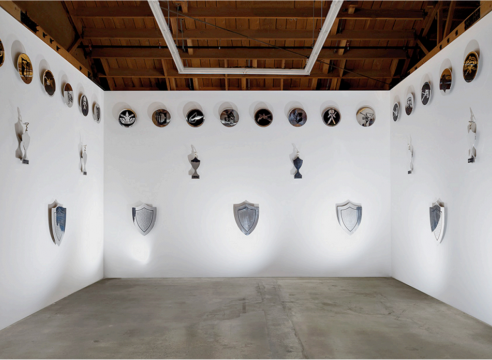 Mitchell-Innes & Nash is pleased to annouce representation of LA-based artist Mary Kelly. The Getty Research Institute in Los Angeles has acquired Mary Kelly’s archive, which includes various documents related to works the American artist made between 1968 and 2014. Those documents, along with various ephemera and materials, will be catalogued by the institute and then made available to the public. 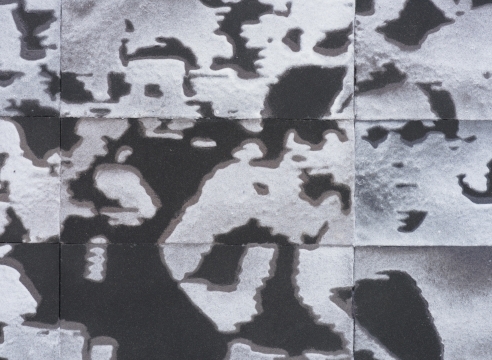 For 12 years, Kelly collected lint from her dryer to make the works, each of which is about ten feet wide. 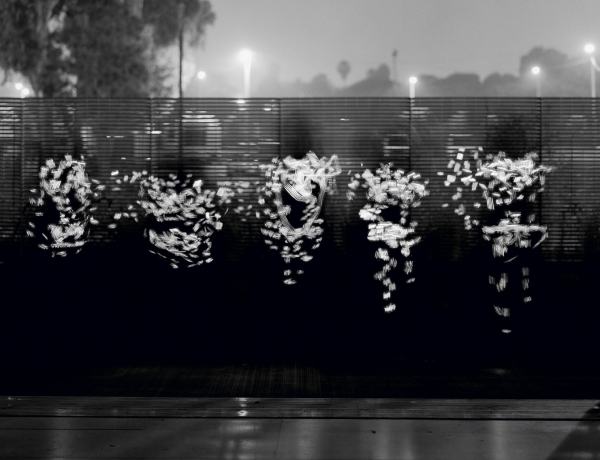 A “light noise” projected on each one appears as a kind of TV static, giving the illusion of movement while providing a nod to the historiographical importance of these three very specific moments in time, made universal by collective memory. Three recent series by the veteran Conceptualist unite the personal and the historical using an unexpected domestic material: compressed dryer lint. “7 Days” re-creates covers of a defunct leftist publication; the jumble of early-nineteen-seventies headlines—“Germaine Greer Talks,” “Miners on Strike”—suggests a spin cycle of history. I had originally developed the lint medium to deal with war crimes. Over time, I thought perhaps it is also suitable for or evocative of the idea of historical memory, and maybe I can make an image, even though I don't generall work with images. 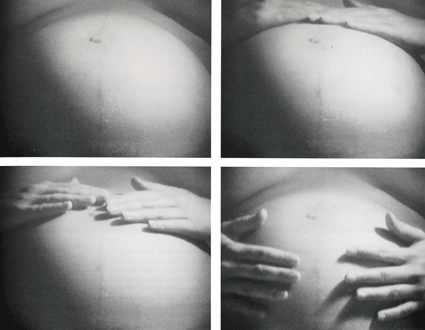 This exhibition, titled “The Practical Past,” is a reminder that Kelly’s work is fundamentally useful and that Post-Partum Document proposed new motherhood and early childhood as firsts in a long series of traumas, extending to the world of political upheavals, to ‪the promise and failure of revolutions past and present. “The Practical Past” is a memoir from the artist’s current perspective on her life in the collective spheres she inhabited in the 1960s and ‘70s and their relation to events before and since. 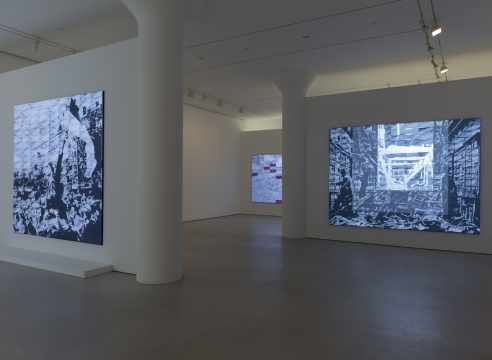 Much of this is writing made visual through letters from that time reflecting concerns and worries about how to live the engaged feminist life, These are transposed in digital projections that nonetheless reflect Kelly’s decision to do a kind of cottage-industry piecework. In a slightly mismatched gridded array, the overall text of handwritten correspondence renders originals as multiple iterations. What appears to shade and fade into historicism is also stuff. There is a peculiar, almost shameful, pleasure in visiting Mary Kelly’s laundry room. A pioneer of conceptual art, she is a model of precision in many ways. Her thinking is rigorous, her speech is eloquent, and her small home and studio up in the hills are sparsely and beautifully furnished with choice midcentury pieces. 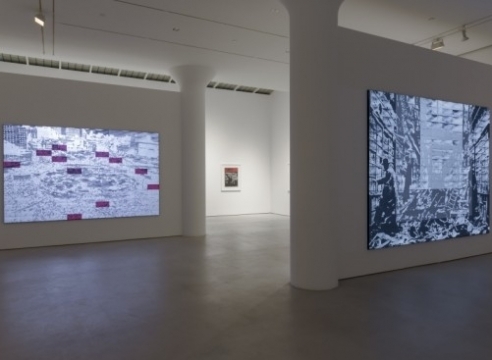 The godmother of feminist art, Kelly is known for her provocative films and large-scale narrative installations that explore notions of sexuality, work, power, and politics by tapping into the more visceral aspects of daily life..."Kelly is one of the most important female Conceptual artists of our time,”says L.A. gallerist Susanne Vielmetter, who represents the artist along with New York–based Mitchell-Innes & Nash, and Pippy Houldsworth Gallery of London. 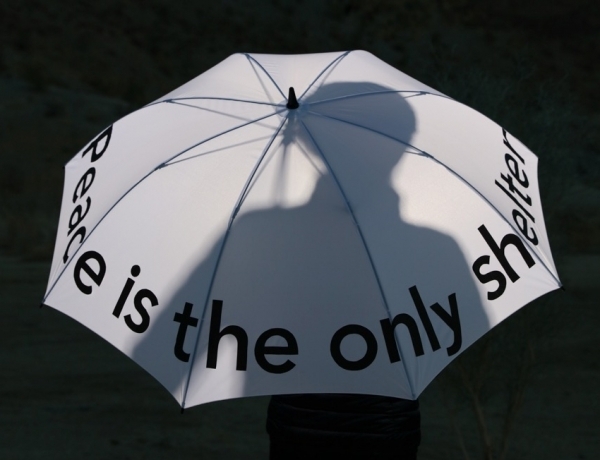 One line in the 1959 Situationist film from which Mary Kelly’s exhibition “On the Passage of a few People through a Rather Brief Period of Time” took its name hovered over the show: “When freedom is practiced in a closed circle, it fades into a dream, becomes a mere representation of itself.” Take Circa 1968, 2004, around which the show revolved: a large-scale case that took some six months to make from the lint of roughly ten thousand pounds of laundry collected from a tumble dryer (using a process Kelly devised in 1999). 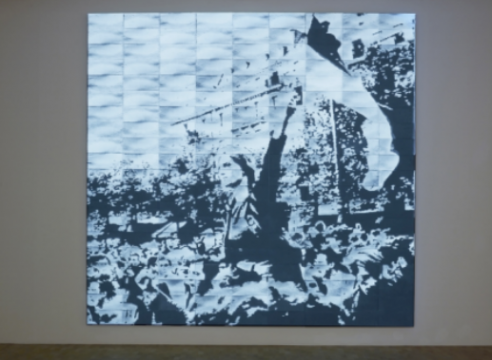 The piece depicts Jean-Pierre Rey’s iconic image for Life magazine taken on the day before May 14, 1968, strikes in Paris, showing socialite Caroline de Bendern – like a twentieth-century update of Delacroix’s Liberty Leading the People - wielding a Vietnamese flag over a charged crowd while sitting on the shoulders of artist and studnt occupation leader Jean-Jacques Lebel. Of course, the image is problematic: an accident in which the notably non-revolutionary de Bendern was case as the ultimate icon of the movement. 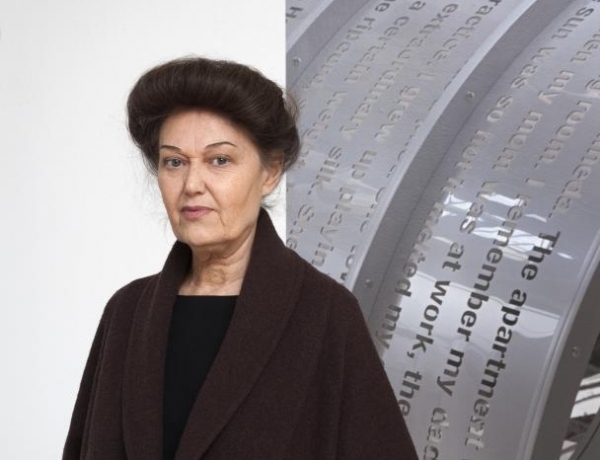 The second-wave feminist and conceptual artist Mary Kelly has made a career out of combining the personal with the political, examining issues of gender, identity, and collective memory in large-scale narratives. 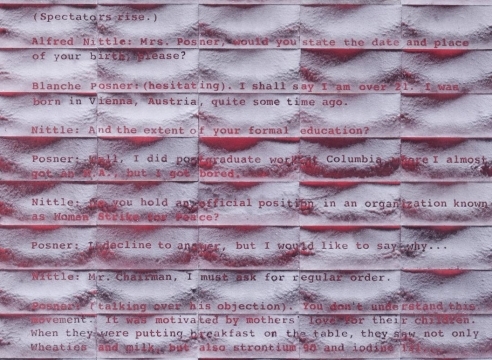 Her works, which frequently include text, collage, and everyday objects, are on view at Art Basel, where they will be the focus of Pippy Houldsworth Gallery’s booth. 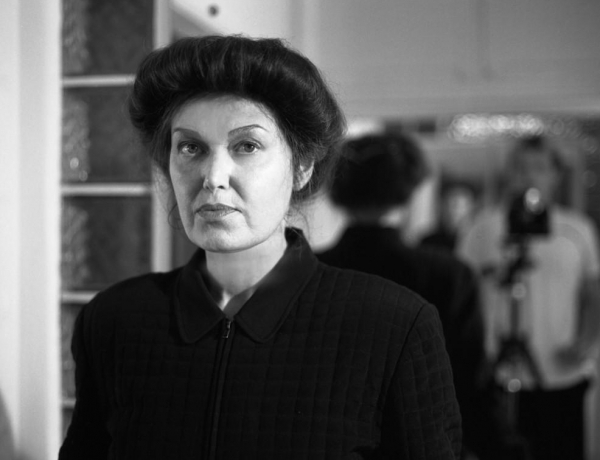 Mary Kelly's large-scale narrative installations, including Post-Partum Document, 1973-79, Interim, 1984-89, The Ballad of Kastriot Rexhepi, 2001 and Love Songs, 2005-07, have blurred the boundaries between the personal and the political by visualizing the impact of historical events on the precarious nature of everyday life. 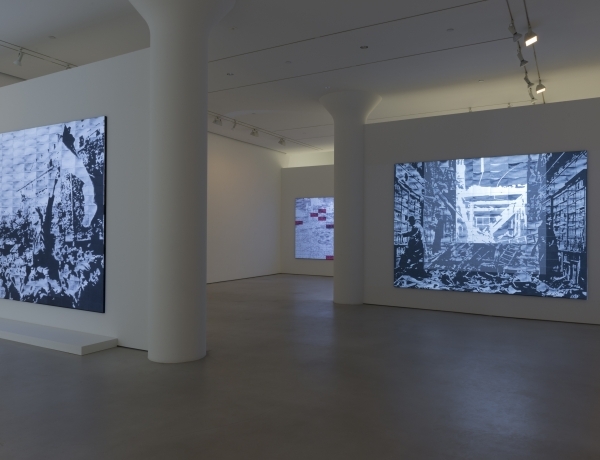 Her new projects continue to mine the reservoir of collective memory and examine the claim it makes on the present. 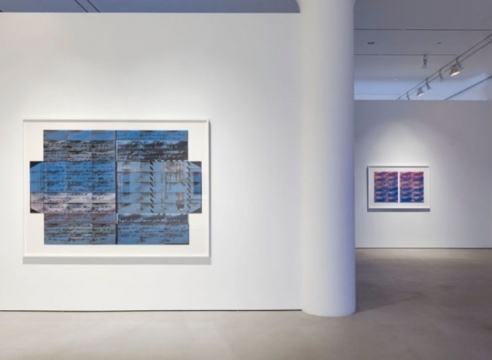 Mary Kelly's first solo show in New York since 2005 was an occasion, though the work deviated not a jot from the Conceptualist-feminist trajectory established by the artist in the 1970s. Visually, the affect was cool, perfect--a mood contrasting, deliberately, with the works' approach to issues of violence, memory, and the power of the voice. This conundrum of clincial austerity enframing messy intergenerational feelings hinges on what Kelly calls "the political primal scene." How and when do we develop historical desire? What trauma exposes our sociopolitical origins?